They are having Q&A session on the activity area. Fully concentrating listening to the story! Even mei mei also clapping her hands after hearing the story! Will be as much interesting as the story-telling session! I really did enjoy the whole event! I still get a lot of attractive goodies! Thanks to Sophia for inviting us to the event! Yeah mommy is right. And more important is you have tried your best. And you still have so much goodies! not to worry about winning..just enjoy the day. What an interesting event. We have yet to find any time to visit this place. Don't be sad,Sean!! you sure can do it next time. wow...that sure looks like lots of fun!! It's okay about being shy. Before you know it, you will be the spunkiest of them all! Looks like so much fun. Is it vy crowded on a weekend? 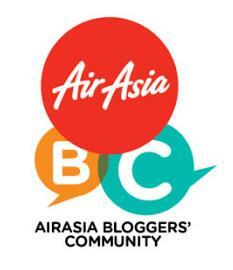 Sob...miss this event else my gals really love to attend this event. wished to go but Isabel was sick that day..sigh..missed out so much fun. 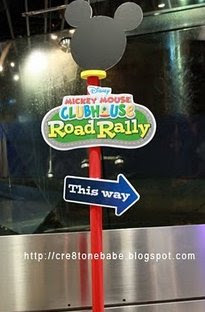 Darren is one Mickey's fan..
Looks like a fun event! At least you dare to raise your hand and overcome your shyness! So bravo! mNhL, hope you found your time to go there before the event ends..
Mery, he's perfectly OK right after that one min.. haha! slavemom, I see many students lining up to go in Petrosains.. But since the event area is reserved for bloggers, still ok, not very crowded..
Mommy Ling, never mind, wait for next event..
Darren's mum, wish Isabel for speedy recovery..